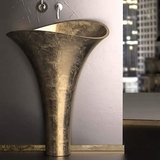 Virility and individually dynamic, the Alumix Tom Tom pedestal-sink, is delivering an unexpected pleasure above what is essential or necessary. 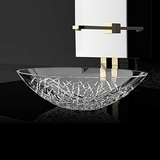 This luxury handmade pedestal sink with its extraordinary conical form is creative futurism at its best. 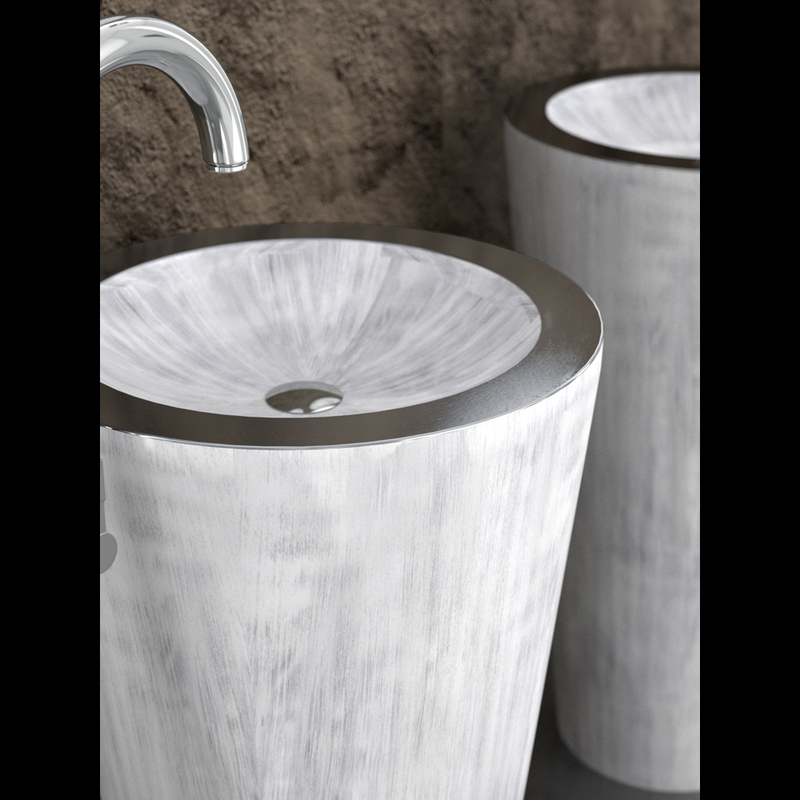 The Alumix Tom Tom is a lightweight and very durable design that will fit perfectly into a powder bathroom and is great for small spaces. 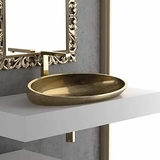 This Contemporary free-standing sink is ideal for those who want the bold, fresh and prefer a modern design style. Made out of high tech aluminum alloy materials, enhanced with modish colors Alumix Tom Tom is available in designer inspired colors: Black|Silver and White|Silver. 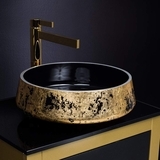 This luxury pedestal sink is unparalleled in its design and "in a class of its own". 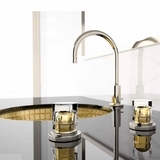 Free-standing installation ensures this sink will stand out in your bathroom as a striking focal point. Alumix is one of the most refined and high tech design materials. 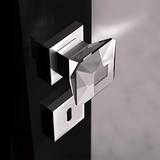 Made from a merge of aluminum alloys, brushed and polished by hand to give a distinguished contemporary elegance. 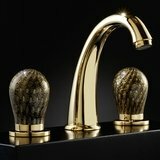 Furthermore, Alumix is durable making it practical for most luxury design applications.